When I first started playing I wondered if an advantage could be made with strategic penalties so I would put in my normal on time entry then made selections after each practice session and then compared the scores, I did this for the first 2 or 3 races and the on time selection came out on top. Every Champion has won by submitting on time entries, it's sort of interesting if you can beat the system so to speak, so far you are 59 points down, if you had stuck with your selections you would be in 7th place 1 point in front of me. Last edited by purchville on Thu Apr 12, 2018 1:17 pm, edited 1 time in total. Crap, the asian time zone caught me out. EDIT: Actually I think it was after FP2 - how did I miss both sessions. Doh. Well at least you didn't forget completely. No penalty this time! I kind of want to try putting Perez in, but I think I've got close enough to the right mix that I wouldn't benefit from it here. The sites playing up for me at the moment, I'll wait until it's better otherwise it will be a bit of a nightmare trying to post the results. The start saw pole man Vettel lead away whilst Bottas passed Raikkonen for second, Verstappen managed to pass both Hamilton and Raikkonen for third. This is how it stayed until the first pit stops with it being so difficult to overtake. Having started on the softer tyres both Verstappen and Ricciardo pitted first but having kept pace with the cars on the harder tyres this then forced the other drivers to pit to protect the undercut apart from Raikkonen who stayed out, Bottas had kept quite close to the leader Vettel and with the assistance of a slowish pit stop Bottas manged to undercut Vettel for the lead of the race. 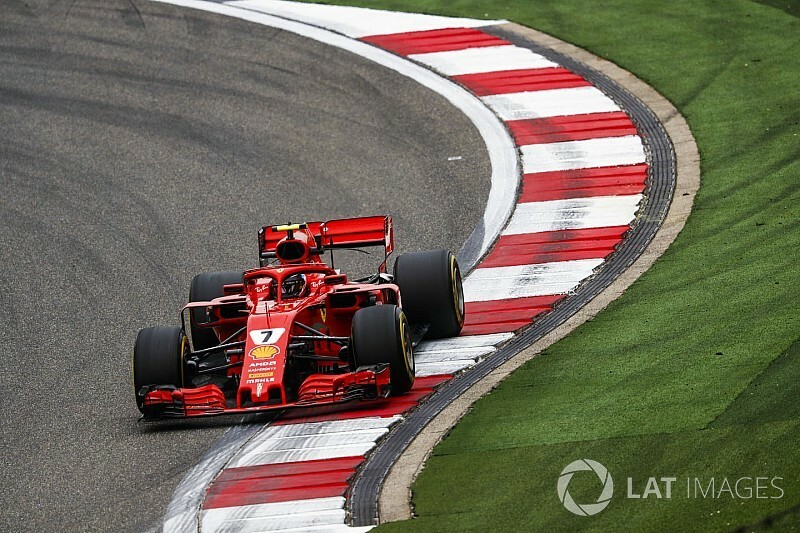 With Bottas taking the lead Ferrari kept Raikkonen out in order to try and delay Bottas once he caught him for his teammate Vettel, this enabled to Vettel to get close to Bottas to pass him after Bottas had passed Raikkonen but Bottas was able to hold him off, Raikkonen than pitted himself. Like before the order stayed the same until Gasly hit his teammate Hartley covering the track with debris which brought out the safety car. The timing of the SC prevented Bottas and Vettel from pitting but Red Bull brought both Verstappen and Ricciardo in for fresh tyres whilst Hamilton and Raikkonen were kept out which proved to be a mistake. On the SC restart Verstappen attempted to round the outside of Hamilton in a corner but ran off the track, this allowed his teammate past him. On his new tyres Ricciardo then had no trouble passing all the cars in front of him and then went on to winning the race quite comfortably. Verstappen attempted to do likewise getting past Hamilton but then hit Vettel causing both cars to spin. Hamilton had to take avoiding action allowing Raikkonen past him. Verstappen was issued with a 10 second penalty whilst Vettel with his damaged car fell down the order to 8th place. With his penalty in place Verstappen then set off to catch the cars in front, first he past Hamilton then he caught Raikkonen who himself had caught Bottas but was unable to get past, with his penalty in place it seemed perhaps then decided there was little to gain in attempting to pass Raikkonen with so few laps remaining and ended up finishing behind Hamilton with penalty in place. In third place with 154 points and receiving the "Reliant Raikkonen Trophy"
In second place with 156 points and receiving the "Striving Bottas Trophy"
Last edited by pokerman on Sun Apr 15, 2018 6:06 pm, edited 3 times in total. Last edited by pokerman on Sun Apr 15, 2018 6:08 pm, edited 1 time in total.